Principal / Owner Wine Realty International, Inc.
Scott’s brokerage expertise is in agricultural properties and his passion is working the land and preserving a farming heritage. As a forth generation farmer and agricultural land owner Scott has over 40 years of hands on experience in wetland & marsh land management, dairy, beef, sheep and horse ranch management. 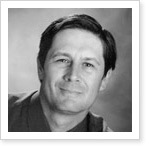 Scott has worked on and consulted in projects ranging from vineyard leases to deep water ports. As a hands on property owner with investments in farms, multiunit residential properties, and vacation rental properties, Scott can strategically relate to what it takes to return on a real estate investment portfolio. Linda's hands on wine business fiscal management experience started with Fred and Nancy Cline in the Sonoma Los Carneros AVA in 1993 when they acquired the old Salt Quarter horse ranch and then turned it into the Cline Cellars property and brand it is today. Linda continues to consult with the Cline's. Glenda assists our team as our environmental consultant with her in-depth understanding of the long-term patterns of biodiversity and coexistence in natural systems, and how they are affected by disturbance, extinction, and climate change. 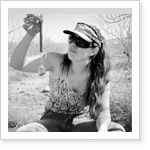 Dr. Glenda Yenni is the Project Manager at University of Florida Department of Wildlife Ecology and Conservation. Glenda holds a PhD in Biology and Ecology from Utah State, a Masters of Science in Statistics from Utah State, and a Bachelor of Plant Science and Ecology from the University of California Davis. Glenda enjoys her visits to Sonoma where her love of nature was inspired riding her pony in Annadel State Park, Spring Lake Regional Park, Bodega Dunnes, and the hills of Carneros. 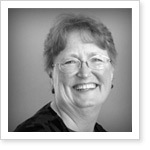 Glenda spends her free time exploring National parks and wilderness areas, rock climbing, and hiking. Glenda grows seasonal produce, eggs, and preserves from her organic gardens. 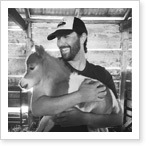 Matthew assists our team with translation, property management, and livestock and organic farming expertise. Matt has an exceptional palate and combined with his bartending experience understands consumer preferences in wine, spirits, and craft beer. Matthew Yenni received a Master of Wine & Spirit from the Wine & Spirit Education Trust. 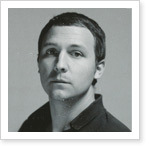 Matt is fluent in Spanish through Enforex in Barcelona. through Enforex in Barcelona. Matt works as a Bartender for Fairmont Sonoma Mission Inn, Sugar Bowl Resort, and as a Quality Control Coordinator for Tolay Springs. Matt enjoys working outdoors and has been an active advocate, worker, and supporter of Community Supported Agriculture (CSA) and farmers markets. Matthew enjoys his hometown of Sonoma, planting organic gardens, fermenting, hiking and swimming with his dog Bear, and rehearsing with his local band. 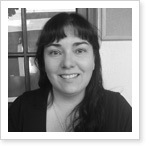 Christy provides consulting for our team as a translator, journalist, and editor. Christy Yenni works for the Portland Public School District. 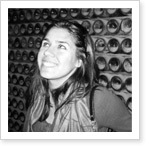 Christy holds a Bachelor of Art in Cultural Anthropology from Reed College and gained her fluency in Spanish Language and Literature from the University of Barcelona. Christy sings and dances Flamenco, plays the violin, enjoys hiking with her Siberian Husky Oynx, and frequently visits the family farm in Sonoma where she rides her horse Jewels and hikes with the family dogs, Bear and Daisy. Sherri started her career in public accounting but found her true calling as a mentor and teacher. An accounting professor for 31 years at Sonoma State University she has been a catalyst to many and a true advocate in empowering women to create their own destiny. Sherri is an active participant in community service. She is on the finance board of the YWCA, a safe house for women undergoing domestic violence and intervention services in Sonoma County, reviewing the company's financial statements to make sure the agency is on track and developing a strategy to meet necessary cuts in the most humane way possible.